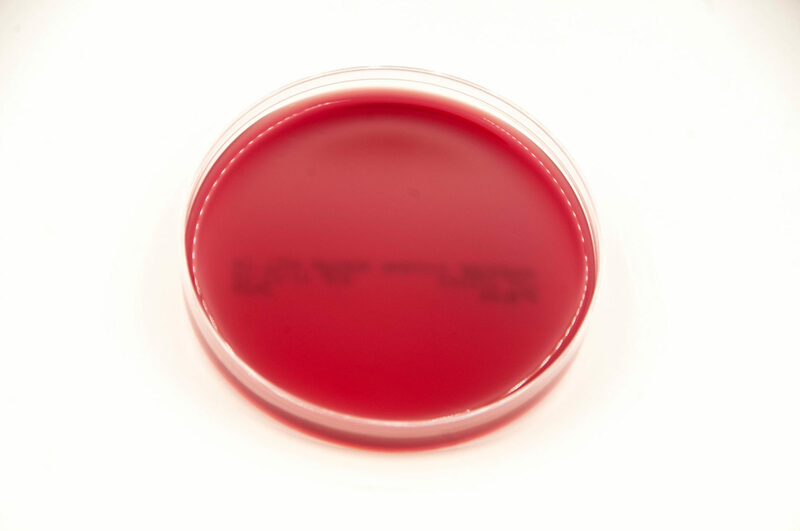 Phenylethyl Alcohol Blood Agar (PEA) is an enriched selective medium used for the inhibition of facultative gram-negative rods and to inhibit the swarming of certain Clostridium species and Proteus species from clinical specimens. PEA agar has a nutritive base that consists of casein, soy peptone, meat peptone, yeast extract, dextrose, hemin, and vitamin K1. The selective agent, phenylethyl alcohol, reversibly inhibits DNA synthesis and thus inhibits facultative anaerobic gram-negative bacteria such as those of the family Enterobacteriaceae. This medium will support the growth of most obligate anaerobic bacteria. Morphology of the colonies on PEA are similar to those found on enriched blood agar plates, like Brucella Blood Agar. PEA agar is especially useful in the selective isolation of anaerobes from mixed populations that contain rapidly growing gram-negative bacteria such as Proteus species. PEA agar inhibits the swarming by Proteus spp. and Clostridium septicum. This medium is prepared, dispensed, and packaged under oxygen-free conditions to prevent the formation of oxidized products prior to use. If used properly, PEA will support good growth of most anaerobes found in clinical infections. PEA should inhibit the growth of facultative anaerobic gram-negative rods, like Escherichia coli and swarming of Proteus mirabilis. PEA agar will not provide complete information for identification of bacterial isolates. Additional test procedures and media are required for complete identification. Some organisms that would normally grow on PEA agar may be inhibited. 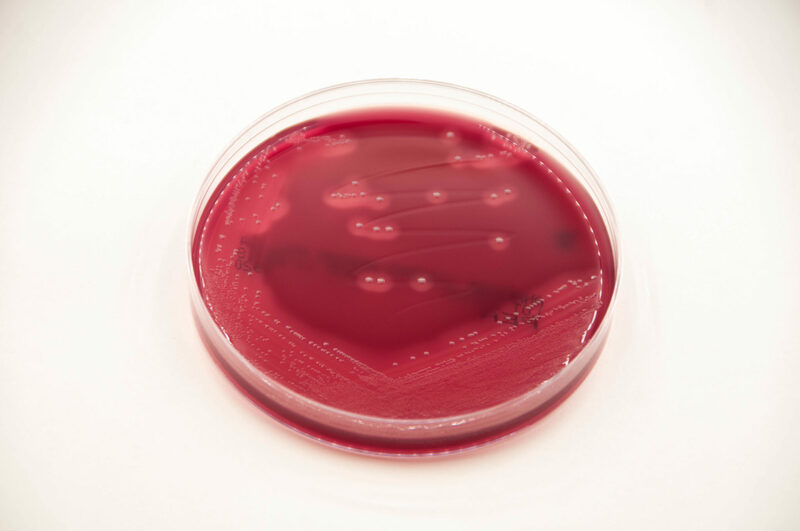 It is recommended that a non-selective medium, such as Brucella Blood Agar (BRU, catalog #: AS-111) also be inoculated from the same clinical specimen to assure recovery of all species present. Some strains of facultative organisms (which should be inhibited) may grow on PEA. A test for aerotolerance should be performed to confirm that each colony type is an obligate anaerobe. Consult reference materials for additional information. 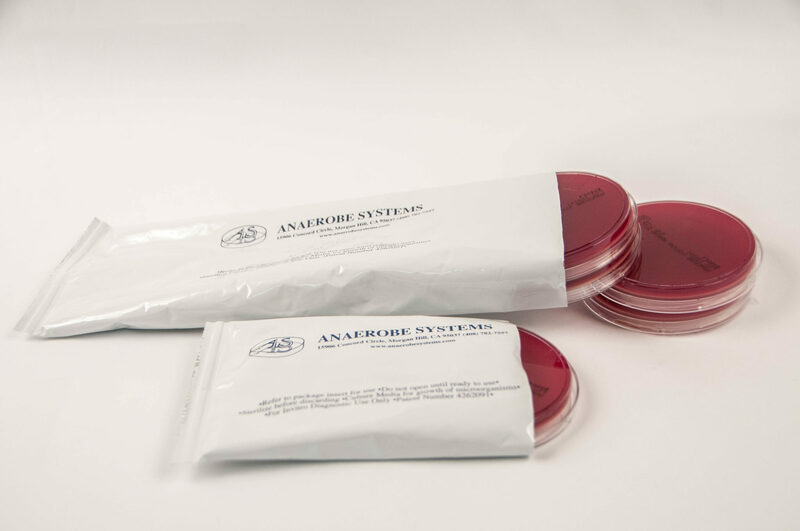 The following organisms are routinely used for quality control performance testing at Anaerobe Systems.